Location: Winchburgh, West Lothian, Scotland. Notes: Niddry Castle is a fourteenth-century tower house near Winchburgh, West Lothian, Scotland. It is situated near the Union Canal, and between two large oil shale "bings", or waste heaps. The tower was built around 1500 by the Lord Seton. Mary, Queen of Scots stayed here 2 May 1568, after her escape from captivity in Loch Leven Castle. George, Lord Seton garrisoned the castle in support of Queen Mary in 1572 during the civil war in Scotland. According to the chronicle, the Historie of James the Sext, it was twice attacked, in April and June. In April, the Captain with forewarning repelled a night attack. He suspended heavy timber beams around the tower and released them on a party climbing scaling ladders. The garrison of Edinburgh Castle supported Niddry by attacking Merchiston Castle, which was held for James VI, as a diversion. In around 1680, the castle passed to the Hope family and became part of the Hopetoun estate. The Hope family, now Marquises of Linlithgow, were granted the additional title Baron Niddry in 1814. 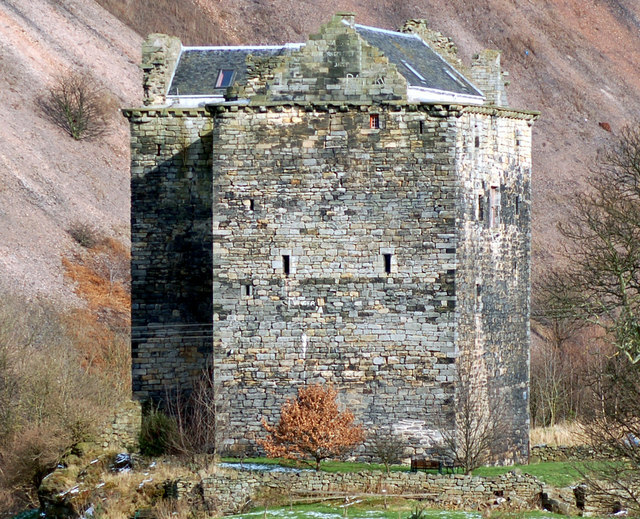 In the 1990s, Niddry Castle was restored by Peter Wright as a private residence. An extensive archaeological excavation of the castle and its surrounding barmkin area was also initiated by the proprietor. Formerly a Scheduled Monument, the tower was de-scheduled in 1996 to allow restoration, at which point it was upgraded to an A Listing. The four-storey L-plan tower has a corbelled parapet, and a turret in the angle of the "L", which was added in the 17th century. The basement is vaulted, and the hall was above, on the first floor. The Castle features briefly in the closing pages of Sir Walter Scott's novel The Abbot which deals with the flight of Queen Mary to England.